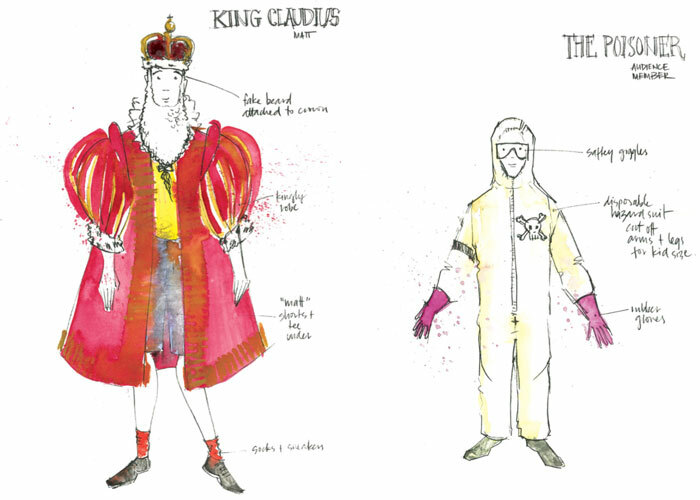 Designer Renée Mulder had a blast creating the outrageous costumes for Hamlet: Prince of Skidmark. 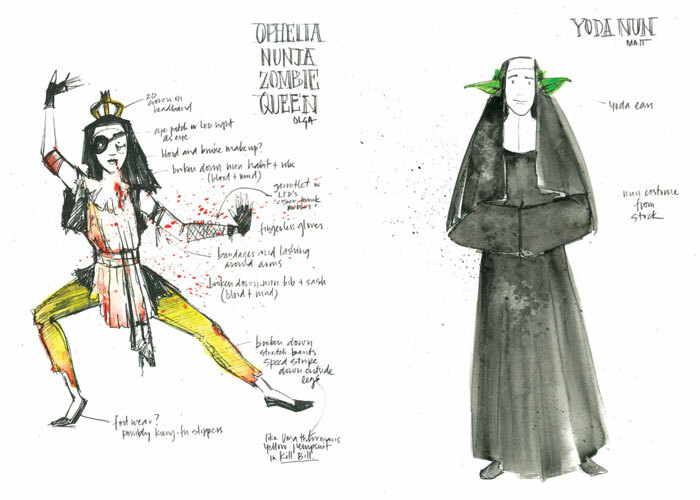 Here are some of the sketches she did in preparation for the show. 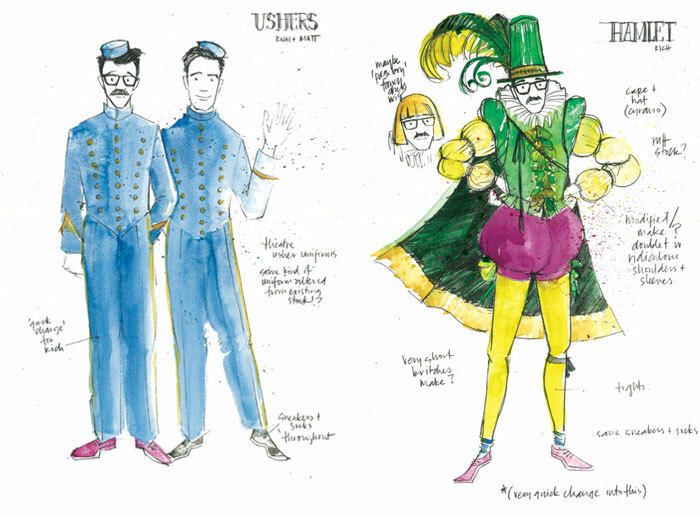 To see more about how Renée creates her designs, check out this video.